My daughter loves puzzles. And though she is too young to understand the details of Muharram, she can still participate in a few Muharram activities – such as puzzles! 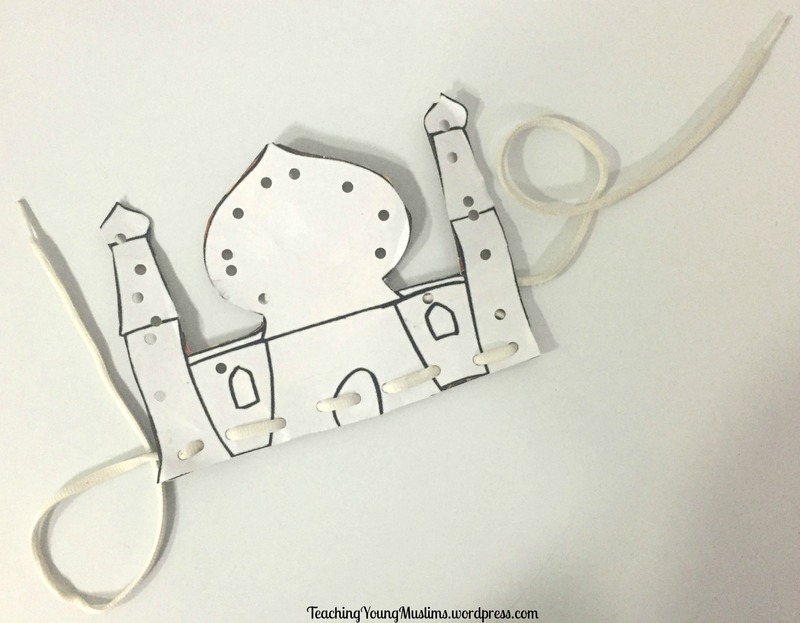 I made a few DIY puzzles for her to play during her quiet time – and we even took some when we attended majalis. For a simple DIY puzzle, I printed out a picture of the shrine of Imam Hussain (AS) and glued it on a piece of cardboard to make it a bit sturdier. I found the pictures of the shrines here and here. I cut it out to the shape I wanted, then I cut the picture into pieces. You can cut it out as easy or as complicated as you want, depending on your child’s skill level. I made another DIY puzzle as well, using the Arabic letters that spell out Ya Hussain. As it turned out, this was a bit above my daughter’s skill level, since although she knows all the Arabic letters, she doesn’t necessarily know all the sounds of each letter, and she especially doesn’t know how the letters change when they are written connected with other letters. However, I still liked the puzzle and will inshallah use it with her when she is older. 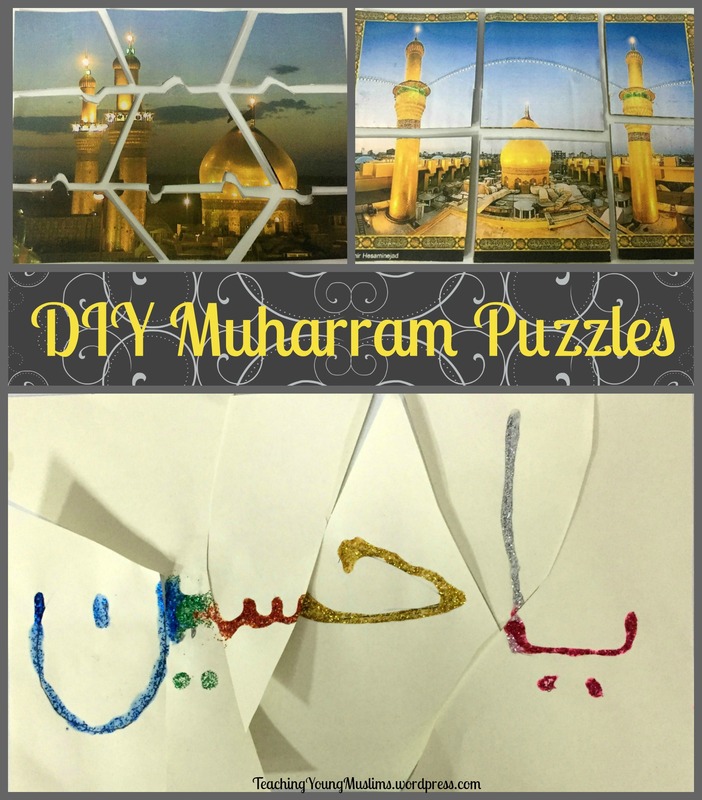 For this puzzle, I wrote out “Ya Hussain” in Arabic – I used glitter glue, but honestly, I do NOT recommend that! It would have been MUCH easier if I had used a marker. Once the letters dried, I cut them apart. This helps practice spelling and the shapes of the letters, with the addition of the puzzle aspect to make it a bit more fun. This also helps them self-correct, since it will only complete the puzzle if it is done correctly. Here, I found another activity that my daughter loved for her quiet time. It’s not a puzzle, but she enjoyed this and strengthened her fine motor skills at the same time. I printed out the masjid picture and glued it onto cardboard to make it sturdier. Then, I cut it out and punched holes. Simple and quick!